We decided to write a post based on the question "What is Pilates?" as it's a question I am so frequently asked. I have been a Pilates teacher for over five years and first discovered Pilates, 18 years ago I will answer based upon my own training, experience, feelings. and findings. PILATES ..........Pilates should lengthen, strengthen and improve mobility, thus improving physical fitness, posture and general health of the mind and body. Pilates, also known as Contrology was developed by Joeseph Pilates and in my opinion he was a true legend. Itis a series of exercises that involve working muscles from the inside out. This means changing the way our muscles have become used to working either due to environment pressures, lifestyle, occupation, stress, injuries etc. Pilates aimes to re-educate the brain and how it controls the muscles. Through Pilates we can re - tune the muscle recruitment firing patterns, in order to correct muscular imbalances and restore good posture and alignment within the body. In short - over time our muscle may adopt postures and alignment that may later cause us pain, or maybe its just a case that over time our posture hasprogressively deteriorated. Pilates can help target specific muscles in order to help improve posture where needed. For example the world we live in today, many people (including youngsters) spend hours in front of a computer, at a desk or even just on tablet devices. Without realising it over time, they may develop a posture called Kyphosis, this is when the upper back is becoming more rounded, the head maybe stooped forward and generally adopting more of slouched forward posture. Pilates would aim to lengthen the spine, stretch the chest muscles and strengthen the back and core to regain a more desirable, postural alignment. The Pilates training system, will improve your body awareness by connecting the mind and body through breathing, concentration and control. The slow pace of the movements allow you to take more control of your own body and have a better connection to how it feels, within that particular moment. By slowing the moves down we have more control and awareness so we can isolate the intended muscle or body part as well as focusing on the alignment of the whole body. Pilates practises Lateral Thoracic Breathing, which means we breathe in to the ribcage. This allows us to connect and engage the inner core muscles, for sustained periods of time without the breathe being restricted. The breath plays a vital role in our practise, when we begin to work our muscles they require more oxygen so its important to keep the breath flowing. This is why I love Pilates and why teaching it is so rewarding for me. There are so many positive effects it has, not only during class but as I just mentioned, the way in which it also enhances every day life. I also love teaching Pilates as it helps so many different people and it is adaptable to meet individuals needs and body types. It can help people, from those rehabilitating after injury or who have restricted mobility, to elite athletes. Pilates is suitable for almost everyone. A phrase I often here is "It's too slow for me! I like high impact classes!" Correct, Pilates is not a high impact class but nor does it claim to be! Nor is it supposed to form or replace your fitness regime, its supposed to enhance it! Pilates is for those who want to improve the way their bodies function and for those who would like more balance, to their bodies and minds. There are also two types of Pilates classes, Fitness Pilates, which is group classes and exercises given are more generic and not individual specific, but a teacher, should always give modifications and alternatives where needed. Clinical Pilates, is when individuals have 121 Pilates sessions and exercises given are specifically based upon there own postural requirements. Pilates is not a class you can walk into for the first time and have it all sussed out within that session. It takes, time, practise and understanding, you shouldn't rush this process but instead enjoy it. Learning the foundations is in valuable as you can build your practise from there. Without mastering the foundations and principles first, exercises will never be executed in true Pilates form. Its also vital when carrying out advanced moves to get the full benefits as well as keeping the practise safe and effective. The Principles of Pilates: Breathing, Centering, Control, Precision, Isolation, Flow, Alignment, Concentration. All these elements are applied to Plates exercises helping to gain control over our body and movements. Corrects posture, alignment and muscle in balances. 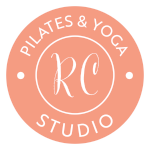 I hope this helps you to understand Pilates and in my next post, I will answer the next question I am frequently asked ...... "What is the difference between Pilates and Yoga?"